PROYECTO INFANCIA (childhood project – www.proyectoinfancia.com) is a non-profit organisation that conducts photography workshops for children in underprivilegied parts of the world. We have been carrying out workshops since 2006 in countries as diverse as Chile, Algeria, Brazil, Colombia, India, Kosovo and Cambodia, among others. To endow the workshops, Proyecto Infancia uses different funding sources, including donations of second-hand photographic equipment, sale of photographs at ad-hoc exhibitions, like the one we conducted in partnership with the Red Cross in Madrid, last year. We are going to develop this year, our so far biggest workshop ever planned, with more than 120 orphan kids having HIV/AIDS in Nairobi – Kenya, members of Nyumbani Foundation. We do really need your collaboration to buy all the materials required to make this workshop. 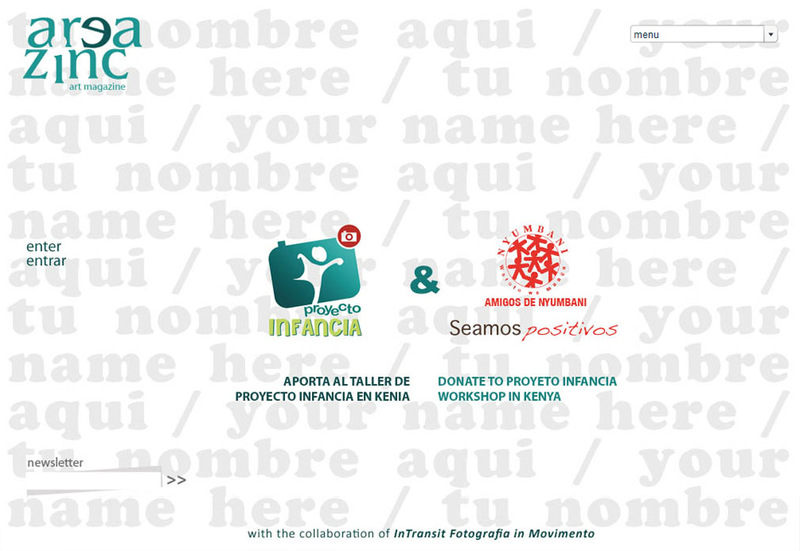 Become one of our sponsors, making a donation from 10€ and you’ll receive in return one of the photographs made by children in our workshops!!! *READ CAREFULLY: It is essential that in the box “Apellidos” (last names) you indicate “Childhood Project“. In this way, we will know who to contact to confirm the photograph that you want and to report on the time and type of shipping of photographs.